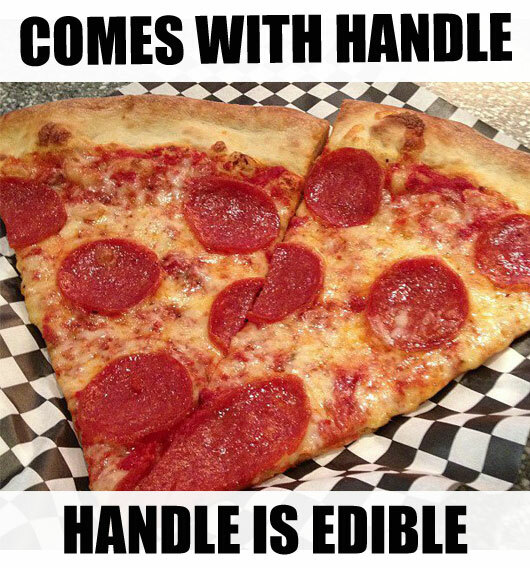 What other food in the Fremont Street area comes with a handle that you can nom on? None. Pizza for the win. To get your hands on this Fremont street pizza goodness, stop by Pop Up Pizza. Contact us at (702) 366-0049 for directions or order online!